In-line rheometry with UB-Lab allows an advanced knowledge of the product quality. Many food processes involving suspensions or complex fluids need to be controlled to get a high quality product. The Ultrasound Velocity Profiling and Pressure Drop technique (UVP-PD) is an in-line monitoring technology that offers real-time and accurate viscosity measurements. Moreover, acoustic attenuation and sound speed measurements give additional information on the characteristics of the fluid. The UVP-PD technique is non-invasive, works with opaque fluids and has no moving parts as it uses ultrasound produced by small dimension transducers. The Laboratory of Food Process Engineering at ETHZ, directed by Prof. Windhab, is the leading laboratory that developed and enhanced the concept of the UVP-PD technique since the 90's. 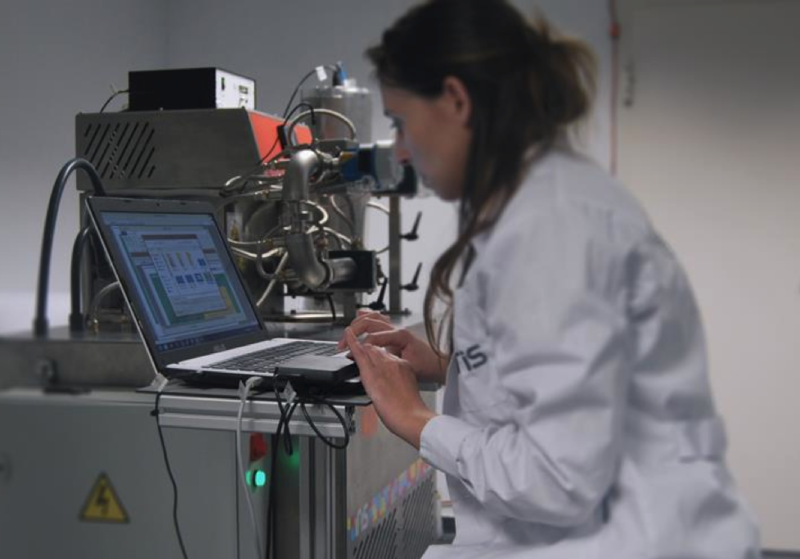 UBERTONE is actively collaborating with ETHZ, and now provides a tool for research and engineering in rheology and food process suited to industrial environments. This new system is based on the UB-Lab, our high standard velocity profiler, in combination with specific transducers and two pressure sensors. The purpose of this online viscometer based on UB-Lab is to get the most desired and stable properties of the product in order to avoid non-conforming products and production downtime. This also enables to reduce sampling costs. This system is of great value for manufacturers willing to improve their process monitoring. UB-Lab has already been used successfully in industrial environment within the ULTRACHOC project, which aims to control the fat crystallization of chocolate during the tempering stage by UVP-PD. Actually, cocoa butter has six polymorphic Beta forms (I-VI), with form Beta-V being the most desirable form in chocolate, giving a glossy appearance, pleasant texture, good snap, contraction, good de-moulding properties, stable shelf life and resistance to bloom. These properties can be monitored by UB-Lab through viscosity, acoustic attenuation and sound speed measurements. In-line rheometry is based on the analysis of the shape of the velocity profile and the distribution of shear stress in a cylindrical pipe. 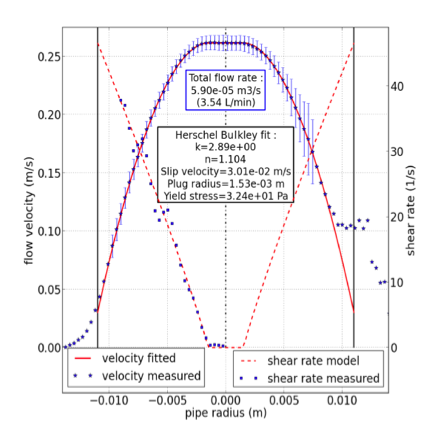 The instantaneous velocity profile along the diameter of the pipe is measured by the UB-Lab (UVP - ultrasound velocity profile) and the shear stress is calculated from the pressure difference (PD) in the pipe. The shear rate is derived from the velocity profile. The measurements are done in a straight section in order to guarantee a laminar flow that is required for UVP-PD technique. The advantage of this method is to be able to measure the viscosity of the fluid over several decades of the shear rate simultaneously. 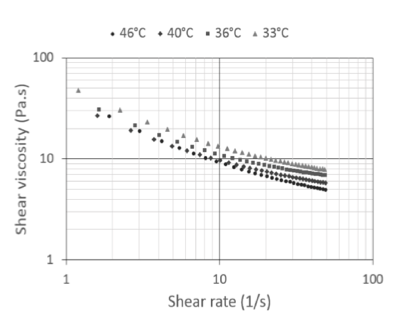 However, the shear rate range depends on the nature of the fluid, the flow rate and the diameter of the pipe. In short, in-line rheometry is a suitable technique to monitor variations of viscosity during a process and offers more advantages than the usual techniques based on off-line measurements. Effectively, no sample is needed and the fluid’s properties are measured in real-time with the conditions of production, thus giving the opportunity to adjust the process parameters straight away. This enables a better understanding of the flow behavior and the process influences on the fluid. In addition, the viscosity function is obtained with one measurement, for a wide range of shear rate, whereas a classical rheometer measures point by point. 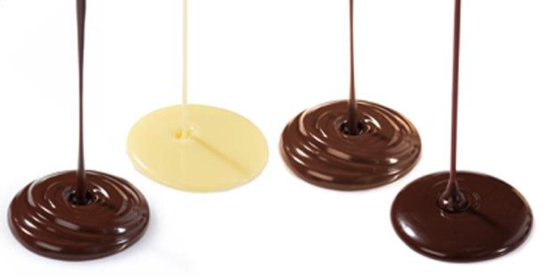 This technique is suitable for chocolate as well as for any other viscous, opaque or complex fluid (non-Newtonian) that requires quality control such as toothpaste, ketchup, mayonnaise, yogurt, etc. It can be used to develop new products and also in new production lines.